Selling a house can be stressful. Making the decision, preparing the house for sale, keeping it clean, waiting for a buyer, dealing with offers, and advancing to the closing table - all of these steps can involve discomfort. This is a huge financial transaction with many emotional aspects. But you can get it done - and it may even be easier than you anticipate. One thing to keep in mind is that you're not alone. As a consistent award winning and top producing Broker Associate, Susan can guide you through the process, help resolve any issues that come up, and ensure that your home sells for the optimal price in a timely manner. Like choosing any service professional - from an accountant to your family doctor - it's important to do your homework before deciding on a real estate agent. Your home purchase or sale likely represents one of the most significant financial transactions of your life, and you definitely want to find the right person for you. Susan can provide you with in-depth market analysis as well as a compelling & individualized marketing plan. . This will result in unsurpassed exposure to the buyers we are targeting for your particular property. Abilities matter. And production matters. You want someone with experience, education and a proven track record of successful closings. Susan can provide you with a book of her personal successfully closed listing and sales for the past few years. She can also provide you with many raving reviews from her past clients. On all counts, RE/MAX is a solid place to start your search. Nobody in the world sells more real estate than RE/MAX, and RE/MAX agents collectively hold more professional designations than agents at any other national real estate brand. Susan personally holds multiple designations such as Licensed Associate Broker, Licensed Associate Seniors Real Estate Specialist, Certified Buyers Representative, Real Estate Short Sale Specialist and Realtor Tech Certification. Contact Susan Agranoff, your real estate consultant, for an opinion of your home's proper selling price. 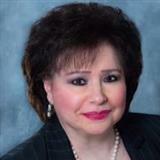 She can provide you with a marketing consultation and information about property values in your area. She is looking forward to helping you get the best price for your home. Few buyers have cash on hand for the down payment and closing costs, so it's mandatory to verify all the buyers financing terms. Susan does an in-depth analysis of your buyer’s finances to make sure they qualify for the loan amount they are obtaining. If all checks out only then would you proceed to contact.